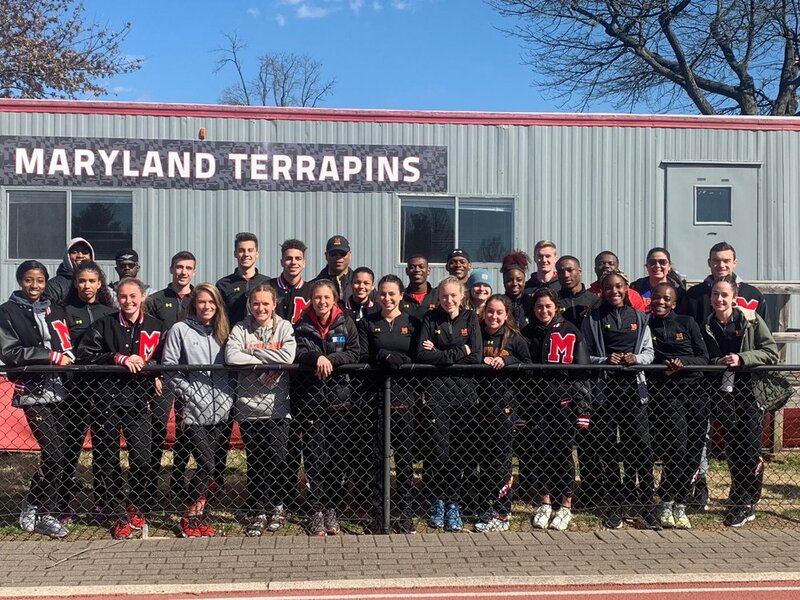 The University of Maryland track and field finished the Maryland Invitational in College Park on March 16 with multiple top-three finishers. Maryland had 10 Terps finish in first place. Senior Greg Thompson, from the United Kingdom, won the discus event with a score of 192-10. The 2018 NCAA discus thrower run-up was awarded a ring for his performance this past winter. Triple jumpers Nate Moore and Leah Blackwell both won their respective events. Moore jumped in his first collegiate outdoor meet this and landed at 14.79m, while Blackwell leaped 12.12m. Senior Carlos Vanzego followed Moore and placed second place in the triple jump with a leap of 14.64m. In the men’s high jump, senior Samuel Shoultz placed first place at 2.08m. In the women’s high jump, Mikella Lefebvre-Oatis placed second at a height of 1.70m. In the women’s hammer throw, Terps grabbed the top-three places. Sophomore Alice Barnsdale, another student from the U.K., finished in first place with 56.80m. Sophomore Bayli Smith finished second with 49.89m and freshman Kamryn Henderson finished third at 48.03m. Henderson broke her personal record in shot put, throwing a career best of 12.91m. In his debut, freshman Chris Spiess took home a first-place title in the pole vault after jumping 4.00m. Senior distance runner Patrick Hanley won the 5000m run with a time of 14:58.25. Among the women’s distance runners, graduate student Alexandra Lucki placed first in the 3000m run, crossing the finish line at 9:43.19. In the men’s 100m dash, Drew Alfano placed second at 11.16. The senior from Holbrook, New York also placed second in the 200m dash with a time of 22.54. Freshman Cameron Vereen finished first place in the 200m at 22.44. Sophomore Cheyenne Jones took second place in the 200m with a time of 25.09. Freshman Colin Rowe, of Kingston, Jamaica, finished second in the 400m dash with a time of 49.16. In the women’s 400m hurdles, two Terps took two of the top-three spots. Sophomore Nadia Hackett finished second at 1:03.86, and senior Thalia Cooper followed behind at 1:04.17. In the women’s 4x400 relay, Xharia Santiago, Vendia Fagan, Jewel Smith and Thalia Cooper combined to finish first with a time of 3:50.29. One of Maryland’s top sprinters, Kameron Jones, gave the men’s relay a major kick. Dashawn Morris led all anchors by nearly 50m at the finish in the 4x400 relay. Halfway through the meet, student-athletes were honored with a varsity jacket for their induction into the MClub. It is one of the most oldest and prestigious clubs in the country. 24 track athletes were honored with the award.